245 1 0 %a Cases and materials on EU law / %c Stephen Weatherill. 260 %a Oxford : %b Oxford University Press, %c 2004. 300 %a LVIII, 723 s. : %b il. ; %c 25 cm. 500 %a Tyt. okł. 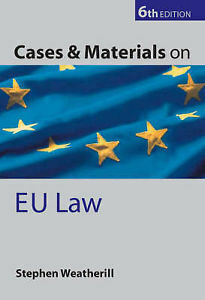 : Cases & materials on EU law.